Whenever we think of buses we think of public transport, filled with a host of different people, offering up a very particular smell consisting of a combination of scents that one would not want to start analysing. And comfort is not a priority as long as you get from A to B on an ugly bus. But, if you are planning on a small group of people attending multiple locations and want to treat them like VIPs, then there are better solutions. 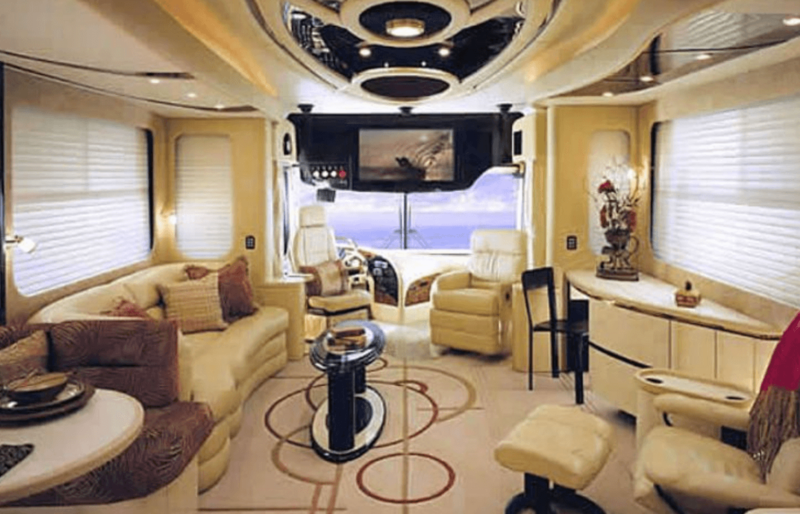 Enter the range of luxury buses, or should we say palaces on wheels. Various companies have realized that there is in fact a niche market for these kinds of buses and have quickly jumped at the opportunity to turn this into a lucrative business by taking your average coach, ripping out its ghastly interior, and transforming it into what looks like a chic office apartment. With luxurious décor and many office facilities, the world outside might be its usual noisy affair, but inside it will feel like one’s own private office. When one tries to think of what a luxury coach would offer, we would hope for at least seats that were comfortable, and perhaps a little more leg room, similar to business class on an airplane. On a luxury bus, however, it’s more like renting out the entire first class section for you and your guests. 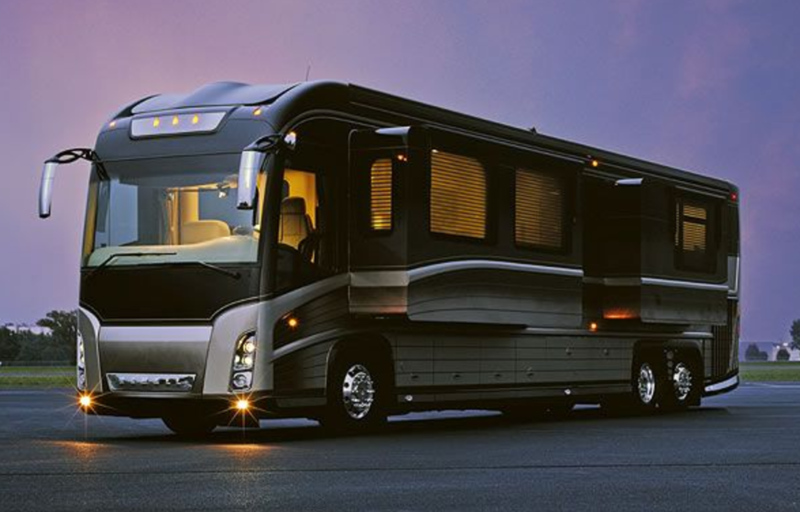 There are spacious living areas that offer comforts like recliners and heated seats, as well as individual rooms set up in the coach, with some companies giving the option of a queen sized bed and sleeping quarters. There are buses that include a highly functioning office-styled galley, with enough electronics to suit the needs of all guests. Some companies go as far as to offer vehicle wrapping for these buses, if they are being used as a corporate marketing incentive. A VIP might advertise that they are on that bus, or a company can show that they are on their way to some important event. A great example of this would be a small sports team that is traveling to different cities or towns and wants to stand out. At this point you might be thinking that it would be nice to be driven around in one of these and to have one at your disposal. The truth is that they can be made into motorhomes that are a significant level up from your average trailer. These can be a solution for those who want to do long cross-country travel, and who unfortunately might not feel comfortable with flying. One can buy one and simply drive to their holiday destination in style and comfort. This being said, it would make it almost unnecessary to rent a hotel room if you have one of these, as these vehicle manufacturers go through a lot of trouble and would give any high end hotel room a run for its money where amenities are involved; that is, of course, if you don’t mind a smaller space.